Our ISP is having major issues that are supposed to get resolved around 2am local time. That is laughable at best. In the meantime, I have turned on my phone's hot spot and will do tonight's break using that and my iPad. Of course, I am busting a 36-card bonus pack tonight... Welcome home, Murphy and your laws. 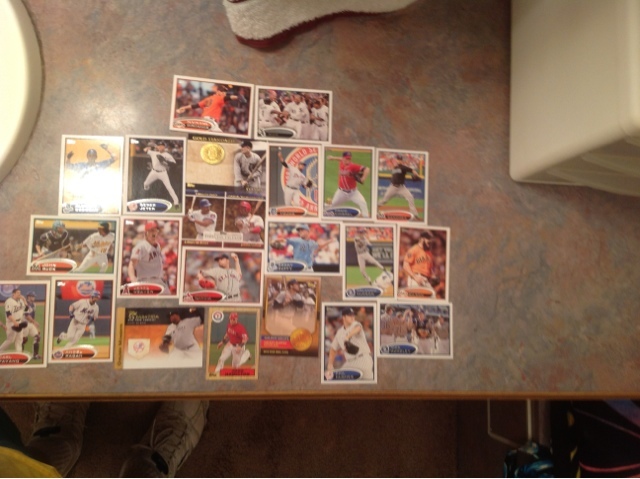 Tonight, we have a bonus pack of 2012 Topps Series One. 36 cards per pack. Give or take. Er, you may wish I hadn't bothered... Haha!